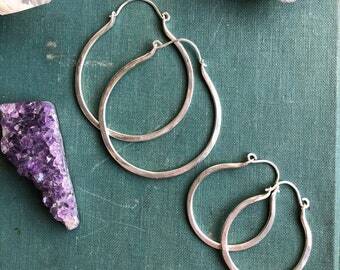 Handcrafted metalwork jewelry from sterling silver, copper, brass, and semi-precious gems. Beautiful stones-love them together-excellent silver work/design-looks terrific with pendant purchase prior! Always great customer service, nicely packaged-love the twine wrapping-reminds me of "cats cradle" game I played when young! Quickly shipped too! Thank you! Unless specified otherwise, Weathergirl jewelry is made with turquoise sourced from U.S. mines. Making, crafting, sewing and sculpting is something that I have done my entire life. I started my shop in 2006. Etsy was an accessible way for me to join in on the handmade movement and share my creations with the world. My jewelry making journey started when I made a necklace to wear to a wedding. I visited a local bead shop and fell in love with all of the colors and textures of the beads. This love soon developed in to a full-blown obsession with the art of metalsmithing. I grew up in Ohio. As a kid I would take over my mom's dining room table with projects. To this day there is glitter embedded in that tabletop. I am currently trying to make something handmade for any gift-giving opportunity that presents itself. If you are not satisfied with your purchase I am happy to grant a refund. You must make arrangements within 7 days of receipt of your item. The item must be returned to me in its original box in undamaged and still in salable condition within 7-10 business days. In the event of a return you, the buyer, are responsible for all shipping costs. I do request that you also send me the tracking number for the return package. In the case of a refund/return, original shipping costs and Etsy/Paypal fees will not be refunded. I accept ETSY direct checkout and paypal (but you may use a credit card or e-check with this method) ONLY. >> I ship all items through the United States Postal Service. >> For ready-to-ship items I aim to ship within 48 hours of receiving payment. I do not ship on Saturday or Sunday. Items are shipped at the buyer's risk and I do not accept responsibility for anything lost during transit. You may request to add insurance but please note this will increase your shipping costs so please contact me in advance to make arrangements. - If needed we can negotiate a payment plan for the balance of the order. - Changes to the design are not allowed once work on the piece has started.